Volvo XC60 Running Costs, MPG, Economy, Reliability, Safety | What Car? The latest XC60 isn’t cheap; if you bought the previous-generation model, you might be a bit taken aback by its current starting price. However, as we’ll explain in more detail in the next section, even entry-level Momentum trim gets you lots of standard equipment, so you won’t need to add many options. What’s more, the XC60 is priced broadly in line with its closest rivals, the Audi Q5 and Mercedes-Benz GLC, and going by Volvo’s online finance calculator PCP finance can be extremely competitive for the class. Officially, diesel XC60s produce similar CO2 emissions to the Q5, but some versions of the GLC and Jaguar F-Pace emit less, as does the front-wheel drive only DS 7 Crossback. Of course, those buying an XC60 as a company car should consider the T8 plug-in hybrid version first, because it has the lowest CO2 emissions of the range. However, it'll only really work for those who can charge it often and cover most of their commute on electric alone. Those covering long distances mainly on the motorway are still better off with the D4 diesel's fuel economy. All XC60s are slightly costlier to insure than some rivals, but resale values after three years are among the best in the class. We’d be tempted to stick with entry-level Momentum trim because you get all the essentials and quite a bit more on top. Climate control, keyless start, cruise control, automatic lights and wipers and heated leather seats all come as standard, so you only really need to add metallic paint or air suspension if you value a smooth ride. R-Design is even more popular, mainly because you get sportier styling, bigger alloy wheels and tinted windows. Sports suspension results in a slightly firmer ride than the standard car, but tidier handling, too. On each version, you can opt for a Pro Pack that adds extra kit. On Momentum models, this adds power-folding door mirrors, heated steering wheel, adaptive LED headlights with washers, a heated front windscreen and electrically adjustable driver’s seat with memory function. 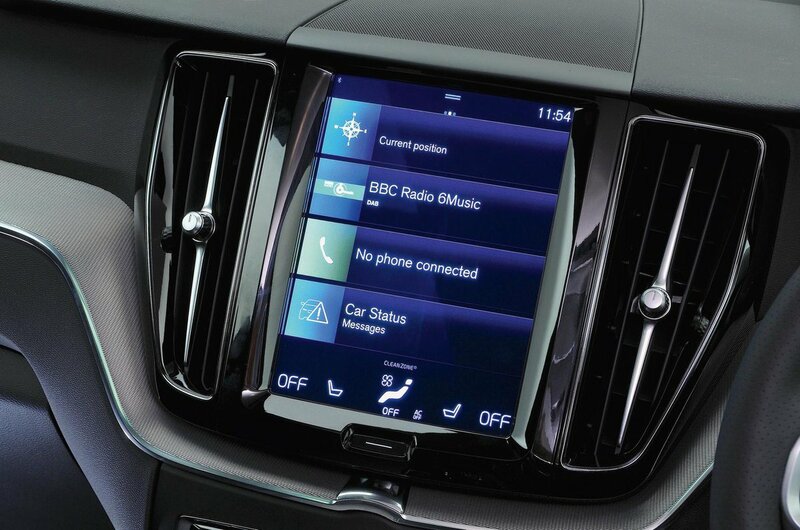 You also get Volvo On Call, which offers 24-hour emergency assistance coupled to the car’s GPS system to locate and help you if you get stuck. 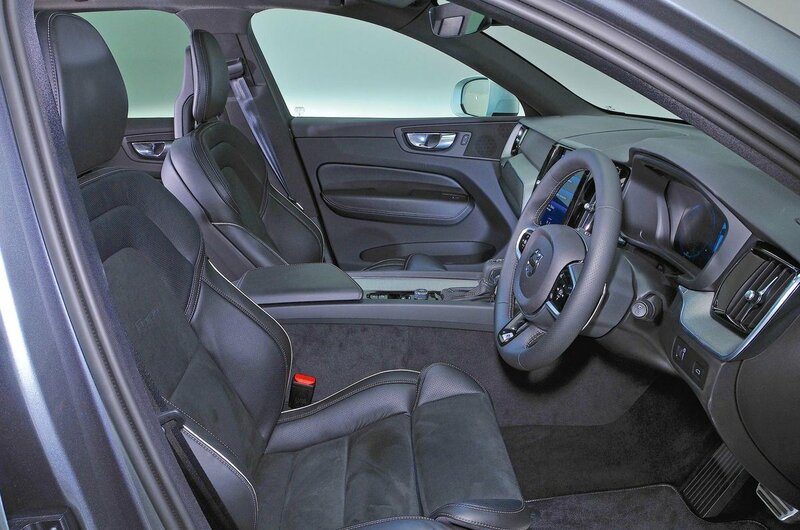 R-Design Pro adds to the Momentum Pro list 21in wheels, adaptive air suspension and fancy ambient interior lighting, while Inscription Pro throws in 20in wheels and front massaging seats as well. 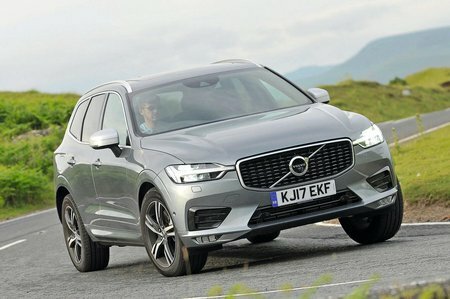 The latest XC60 was too new to feature in our most recent reliability survey, but Volvo as a brand finished a relatively disappointing 25th (out of 32 manufacturers) in the study. The XC60 comes with a three-year, 60,000-mile warranty as standard, as well as a three-year paintwork warranty and 12-year cover against rust. This cover is par for the course in the premium large SUV class. Thankfully, Volvo hasn't forgotten about its roots, because the latest XC60 has some of the most advanced safety features in the class. It scored the maximum five stars from Euro NCAP’s safety tests, with a brilliant 98% adult occupant safety score and 95% for safety assists. Automatic emergency braking is standard on all trims and not only recognises other cars but also cyclists, pedestrians and large animals. The system can even help you swerve around obstacles and back onto the correct side of the road, although this feature is only initiated if you start to make an evasive manoeuvre. Blindspot monitoring and Pilot Assist (automatic steering at speeds of up to 80mph) are available as part of a pack that also includes adaptive cruise control with a semi-autonomous driving mode. As you'd expect in a car costing this much money, all trims come with an alarm and an immobiliser. The new model has yet to be tested, but security experts Thatcham Research gave the previous model the maximum five stars for resisting theft and four stars for repelling scallywags trying to break in and pinch your valuables.